CLIMB4CLARE is a fundraising campaign being organised by the Ladies Gaelic Football Association to raise much needed funding to ensure the provision and roll out of the CLIMB® Support Programme in Cancer Care Centres around the country. Why are LGFA trying to provide CLIMB® in Ireland? 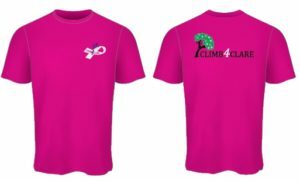 The main reason that LGFA have selected CLIMB® is that it is a vision of one of our colleagues, Clare Clarke, to see this available for all children throughout Ireland. Clare was diagnosed with breast cancer 7 years ago and fought the disease to be given the all clear only to unfortunately be diagnosed with secondary cancer 4 years ago again. Clare was faced with the same issue that so many parents are in having to explain to her two children the news that she was after receiving. In Clare’s own words “I am just an ordinary person trying to get around what is happening myself, how do I explain this to my children in a vocabulary they understand to allow them to answer any questions they are asked. This is where CLIMB® can ensure this happens.” Unfortunately for Clare as she researched for a support programme for her children she realised that there was none available and began to research what she could do to fill this gap in the support structures for cancer sufferers. 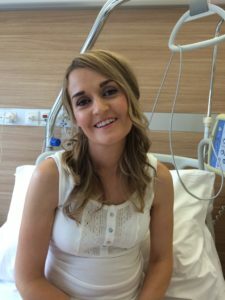 Clare discovered the CLIMB® Programme and her aim is to see this rolling out throughout all cancer care centres in Ireland through the support of LGFA. Currently CLIMB® was only available in Belfast and Tuam and we feel that this is an essential service for children affected by a family member being diagnosed with cancer. We have a huge number of children playing our sport, many of whom are probably already affected, while others may be affected in the future. We also have many members who may be suffering from a cancer diagnosis themselves or unfortunately others who may in the future. The programme is now available in 35 centres and hospitals across Ireland due to Climb4Clare. How are LGFA asking our Clubs to Support the Programme? CLIMB® will be the fundraising partner for LGFA to enable us to make Clare’s dream come through. We are asking all our clubs or counties to organise a fundraiser and to donate the funds to the CLIMB® Programme. This event can be fully for CLIMB® or the money raised can be divided equally for your club and the CLIMB® programme. We have attached a sample 1km Family Walk/ Run template that you can organise in your club or feel free to organise a different event of your choice. The key to this event is raising funds for an excellent service but also raising the profile of a programme that could be so important to us all at any stage in life. All funding raised can be forwarded to CLIMB4CLARE, LGFA, Croke Park, Dublin 3 and this will all be deposited to the CLIMB Fund. How will funding from LGFA assist the CLIMB®Programme? LGFA will also assist in sourcing potential volunteers for centres where required as we have a pool of highly qualified members currently working with young people. All volunteers must have a qualification currently allowing them to work with children to ensure there are skilled personnel throughout the country. CLIMB®is a programme for children aged 5-12 who are experiencing the impact of a parent’s, other significant adult’s or a brother or sister’s cancer diagnosis. CLIMB® is run over six weeks and the groups run in the evenings so as not to disrupt school attendance. It’s an enjoyable, sharing, interactive experience and a time for the children to come together to deal with their feelings. Throughout the programme the children will develop an understanding of cancer and from this understanding the myths and fears that children can hold about cancer will be dispelled. The groups are creative, using drama, arts and play. They are also based on having fun together and meeting new friends. CLIMB® stands for Children’s Lives Include Moments of Bravery. Each weekly session has a specific goal regarding a particular feeling. Activities and play are used to reach these goals which are detailed below. Week 6 Goal: Facilitate communication with the parent who has cancer. We encourage you to please support this programme by organising a fundraising event in your and as mentioned previously this can be solely for CLIMB® or jointly to raise funds for your club. If you are organising an event we would ask that you please inform us of the event being organised and dates/times of same and will promote this for you also. This information can be forwarded to info@lgfa.ie . We would appreciate if your club/county can aim to organise during these months. We look forward to working with all clubs on this initiative and please feel free to contact LGFA for further information. Buy Your Climb4Clare T-Shirt now by contacting our office on 01 8363156 for only €10. Proceeds to Climb4Clare.